Obituary for Ruth C. (Gallup) May | Schaffer Funeral Home, Inc.
Ruth C. May, 96, of Defiance, passed away on Thursday, January 17, 2019 at Glenn Park of Defiance. She was born on September 21, 1922 to the late Marvin and Amelia "Millie" (Pessefall) Gallup in Defiance, Ohio. She was a 1940 graduate of Defiance High School. 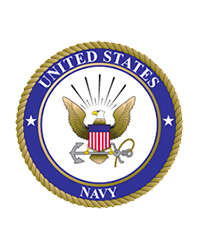 Ruth proudly served our country in the U.S. Navy WAVES Unit from 1942 to 1945. 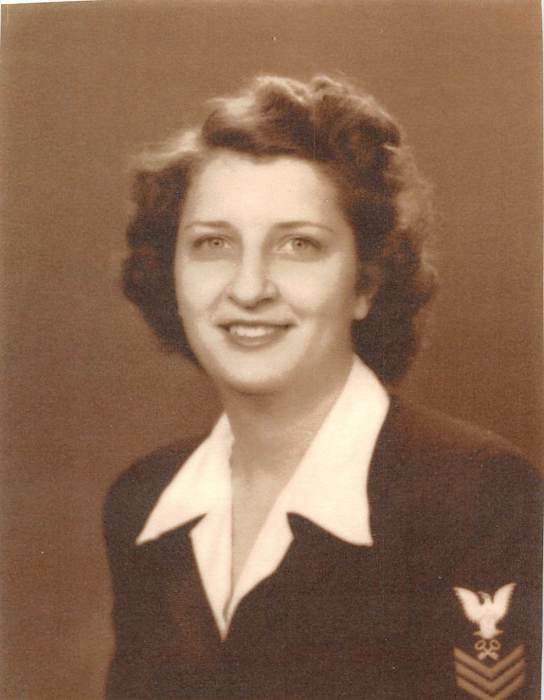 Ruth was the first woman from Defiance County to join a service unit. In 1946 she married Paul E. May, who preceded her in death on December 27, 2011. Ruth was a faithful member of St. Mary Catholic Church, maintaining an active role in Pastoral Care, Altar Rosary, Funeral Liturgy planning, and the Noodle Club. 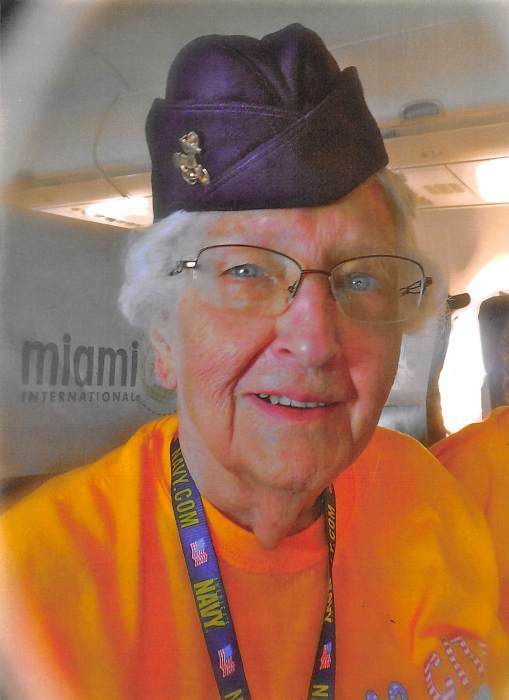 She was a member of VFW #3360 Auxiliary and American Legion Auxiliary #117. Her dedication to serving others and her church will be tenderly remembered by so many that knew her. In her leisure time, Ruth enjoyed quilting, crocheting, and sitting by the river enjoying nature. Ruth will be sadly missed by her children; daughter, Dwyn C. (Don) Lichty of Defiance, and her son, Richard P. (Jane) May of Scottsdale, AZ. She also leaves behind two granddaughters and two great-grandchildren, brother, John Gallup of Quebec, and sister, Sr. Janet Gallup of Lexington, MA. In addition to her parents, she was preceded in death by husband Paul May, son, Gregg May in infancy, brother, Samuel Gallup, and sisters, Celia Gallup, Helen Lawson, Elizabeth DeLaet, and Mary Weber. Visitation will be held from 9:30 to 11:00 am on Wednesday, January 23, 2019 at St. Mary Catholic Church in Defiance. A Mass of Christian Burial will follow at 11:00 am at the church, with Fr. Randy Giesige officiating. Burial will follow the service at Riverside Cemetery, with graveside military rites accorded by VFW #3360. Memorials are suggested to The Detour Company Theatre, PO Box 697, Scottsdale, Arizona, 85252, or CHP Defiance Area Inpatient Hospice Center.